With the super bowl right around the corner, fun football themed party ideas are popping up all over the place. Of course, if you have a son, these ideas can double as a pretty fun birthday party theme too. Michelle has some great DIY super bowl party ideas. Everything from utensil holders and popcorn bags to fun kid friendly games to keep everyone busy during half time. 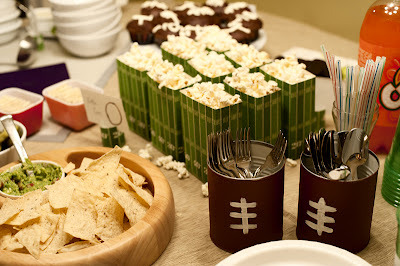 You can check out all of the DIY Super Bowl party ideas over at Rust & Sunshine.